Our little guy has discovered a new recent obsession, NASCAR. He’s got the drivers name and numbers down pat, along with their top sponsors, and can even tell you who has placed in the past couple of races we have watched. As with all of his interests, I immediately went searching online for some autism friendly activities and was beyond thrilled to find that Dover International Speedway actually has an “Autism Speaks Day at the Races” program. in the grandstands of Dover International Speedway. I started stalking Dover International Speedway’s Facebook page waiting for tickets to go on sale, when I received an email a couple months ago appointing us as Speedway Ambassadors for the #Fedex400. We can hardly contain our excitement to be able to travel to Dover to participate and share this special day with our little guy! 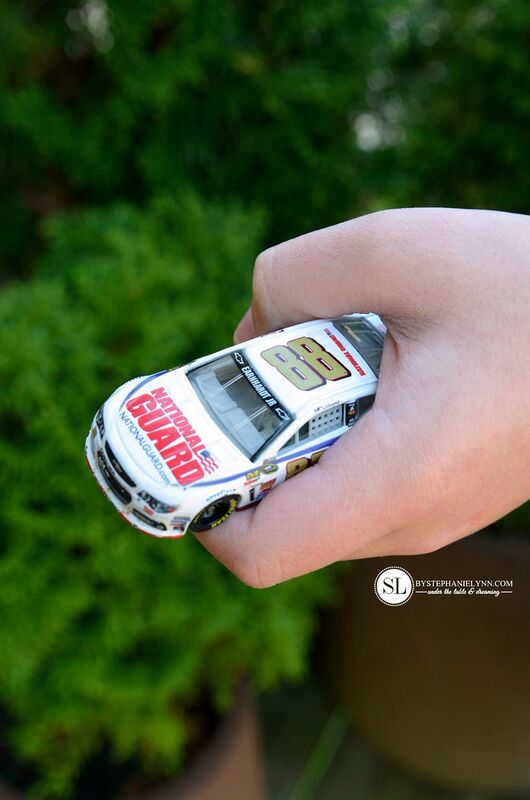 This will be the fourth year FedEx Corp, Autism Speaks and Dover International Speedway have collaborated to raise awareness for an important cause – while providing families a chance to experience a NASCAR race in an environment specifically designed for the enjoyment of children with autism. 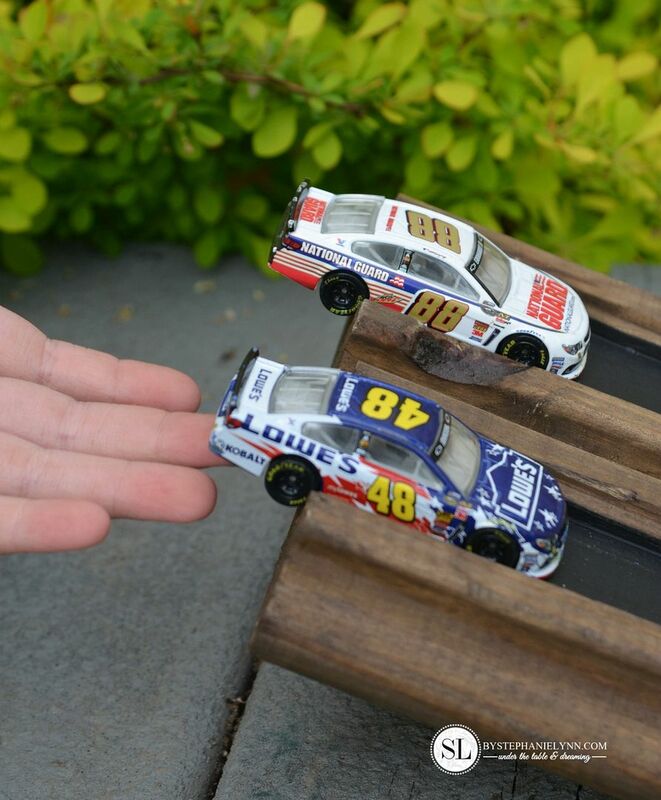 This family friendly sprint cup series race features NASCAR’s top drivers such as Dale Earnhardt Jr., Jimmie Johnson (CJ’s favorite) and Jeff Gordon as they attempt to conquer and tame the Monster Mile. 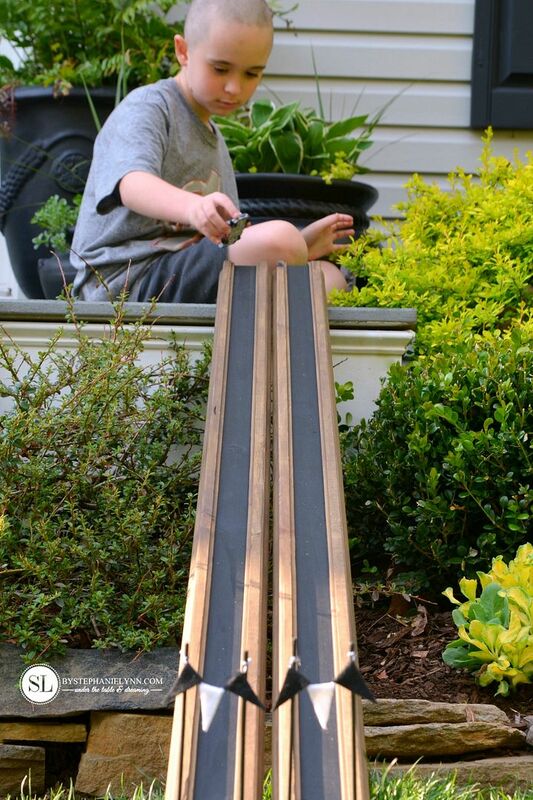 In preparation for the race, we set out to create some family fun in our own backyard with a wooden race track ramp for CJ to use outdoors. 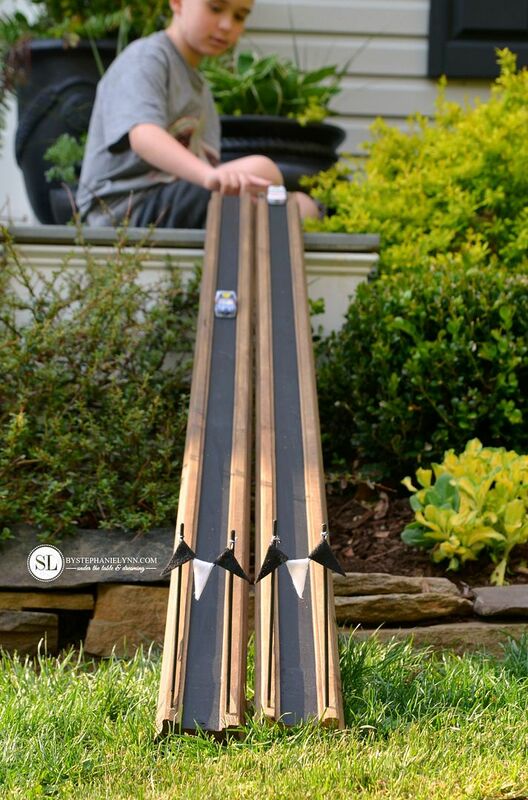 These wooden race track ramps are incredibly easy to make and since they are portable, they have already provided hours of creative outdoor play. 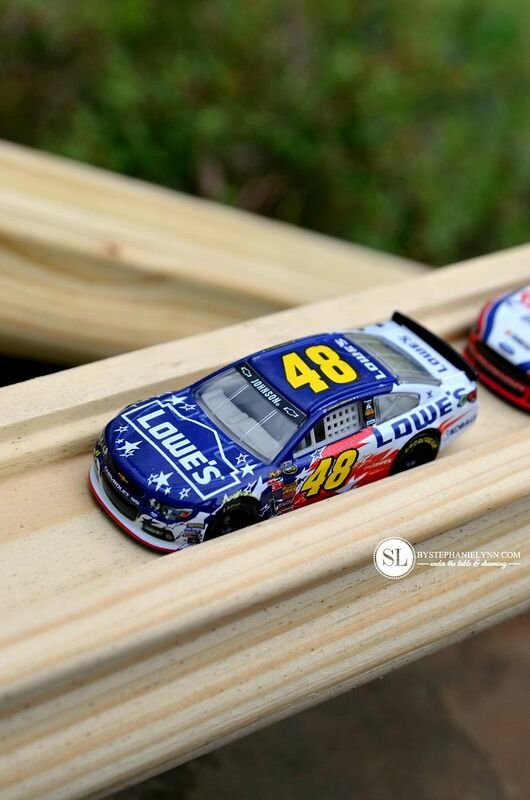 The main material for the tracks is a pine handrail. Since we wanted to be able to keep these outdoors, we opted for the pressure treated handrails found in the decking section of our local hardware store. 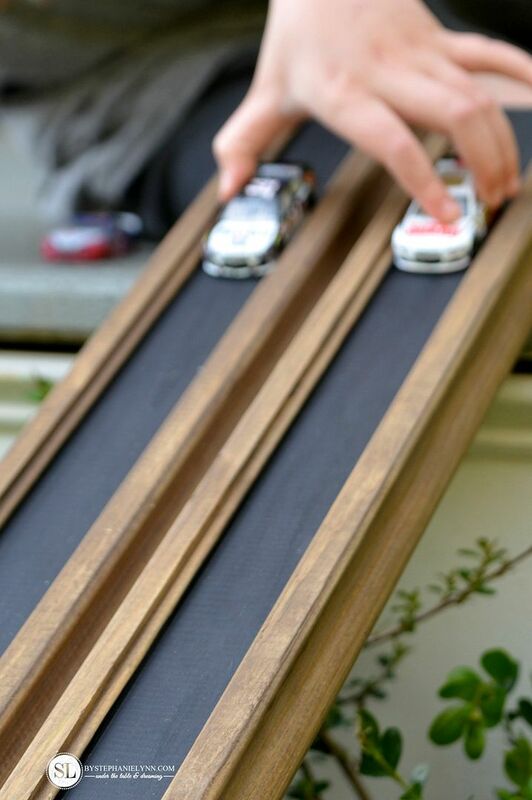 When the handrail is turned upside down the pre-cut grooves create the perfect track for toy cars! To help protect the wood the rails were sanded then stained with exterior wood stain. 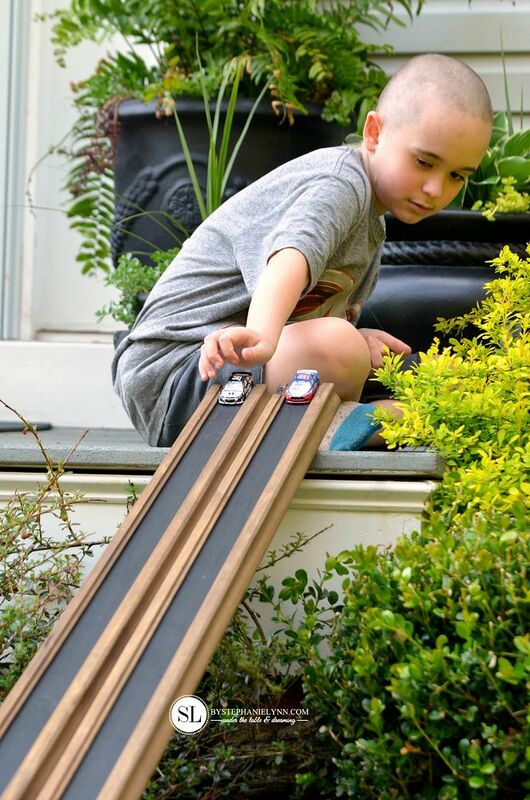 The track was then painted with exterior paint. The finish line flags were created with felt – in the same manor as the No Sew Hanging Pennant Banner in CJ’s sensory room. 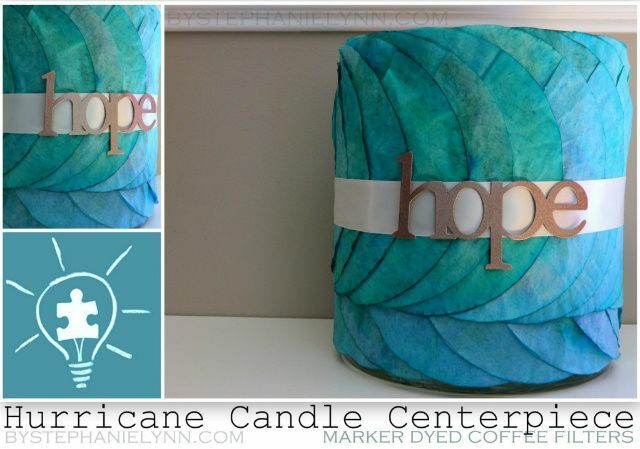 Hot glue was used to hold the felt in place on the twine. 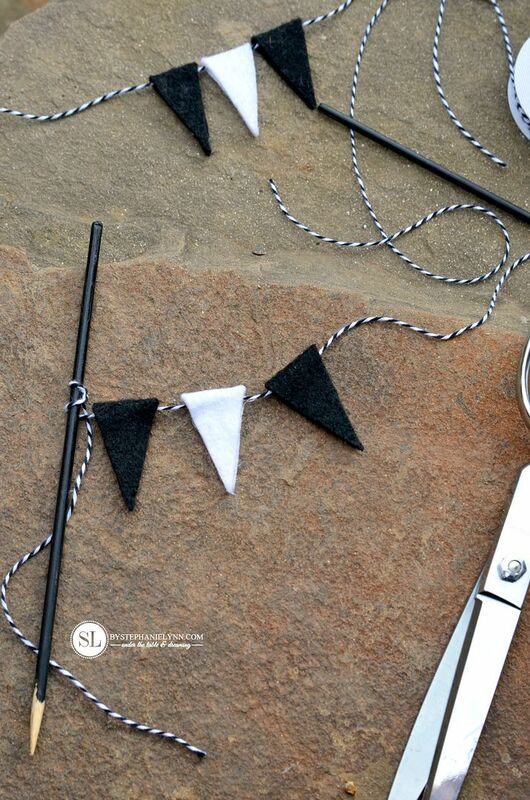 The twine was then tied to two wooden skewers – which were cut down to size and painted. Using a hand drill and drill bit, holes were then drilled into the handrail for the skewers. Special ticket packages for the Autism Speaks Day at the Races can be found here. The packages include a seat in Dover’s air-conditioned grandstand, providing a great view of the Monster Mile from the backstretch. There is also a dedicated sensory-friendly quiet zone located inside, where parents can bring their kids to get away from the crowd and noise at any point during the race. The quiet zone will have muted lighting in a calmer environment, while also featuring video screens to keep up with the action on the track. Along with the excitement of this sprint cup race there are family fun activities all morning long prior to the drop of the green flag. Dover International Speedway features a ton of other scheduled events on race day the whole family will love, from concerts by artists such as Cassadee Pope, Jerrod Niemann, and Thompson Square to the Monster FunZone & FanZone. A variety of concession and merchandise locations will also be set up for food and shopping, along with NASCAR driver Q&A and autograph sessions and picnic areas when it’s time to take a break. 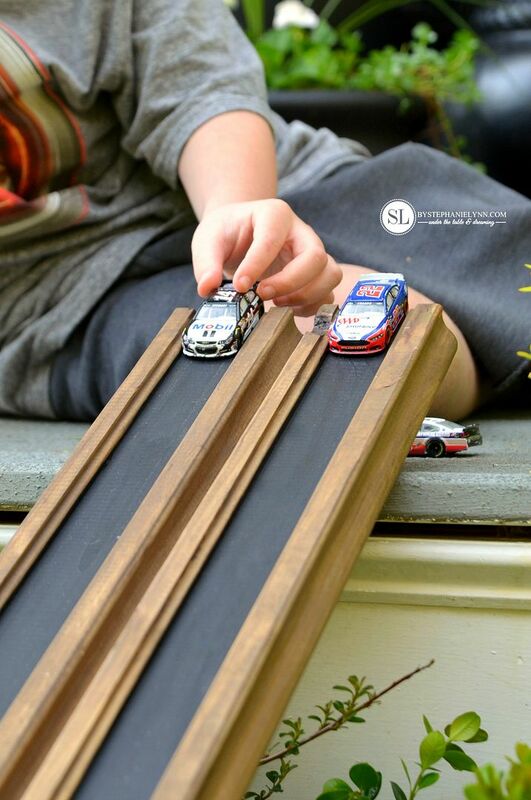 Dover International Speedway is also pleased to announce the launch of a brand new kids club titled “Monster Mile Youth Nation.” This club is exclusively for race fans ages 14 and under and provides opportunities for young fans to explore the sport of NASCAR. 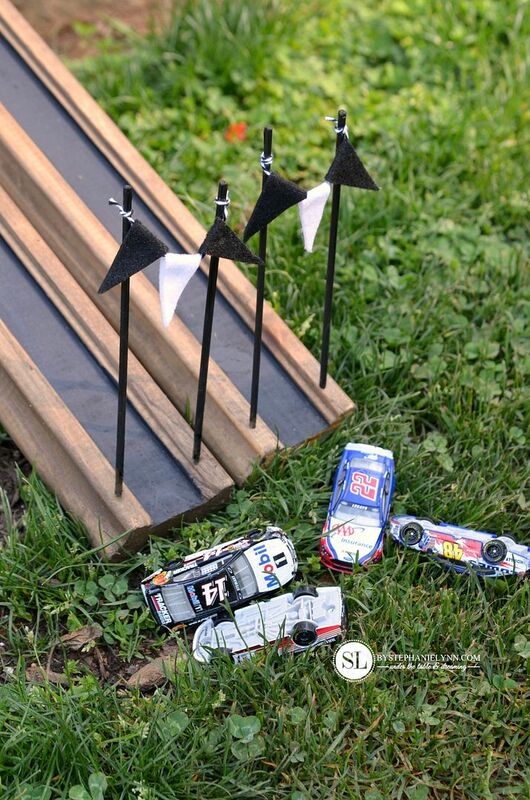 The annual membership includes Free FanVision rental on one race weekend, a welcome gift that in 2015 includes items like a water bottle, merchandise coupon and diecast car, special VIP area in the Monster FunZone for members to interact and play games and exclusive access to race weekend activities. From now until May 7th Dover International Speedway is running a special sweepstakes to win some of the most sought after passes that the Monster Mile has to offer. 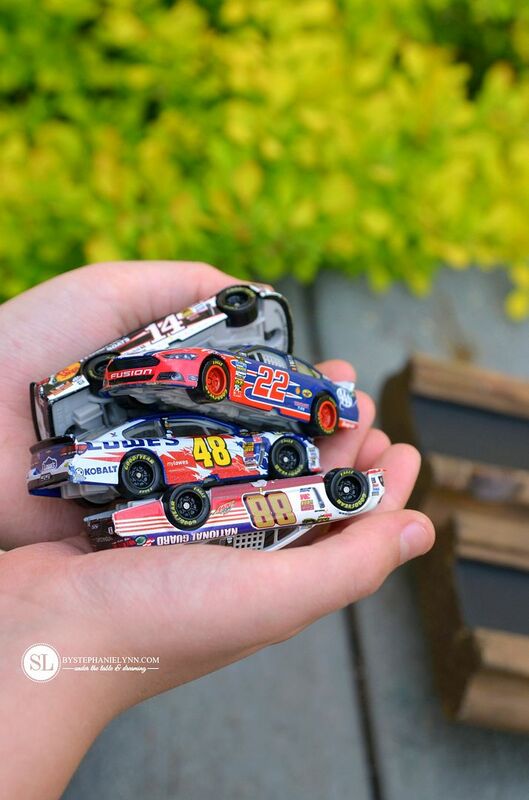 Enter here for a chance to receive: * A family four pack of tickets for the May 31st NASCAR Sprint Cup Series race, * Pit Passes, * A guided tour of the NASCAR Sprint Cup Series garage, * FanVision rental, * Driver appearances by Danica Patrick and Joey Logano, And much more! I participated in an Ambassador Activation on behalf of Influence Central for Dover International Speedway. I received complimentary tickets to facilitate my post and promotional item to thank me for my participation at the conclusion of the program. I think that’s terrific, and congratulations! 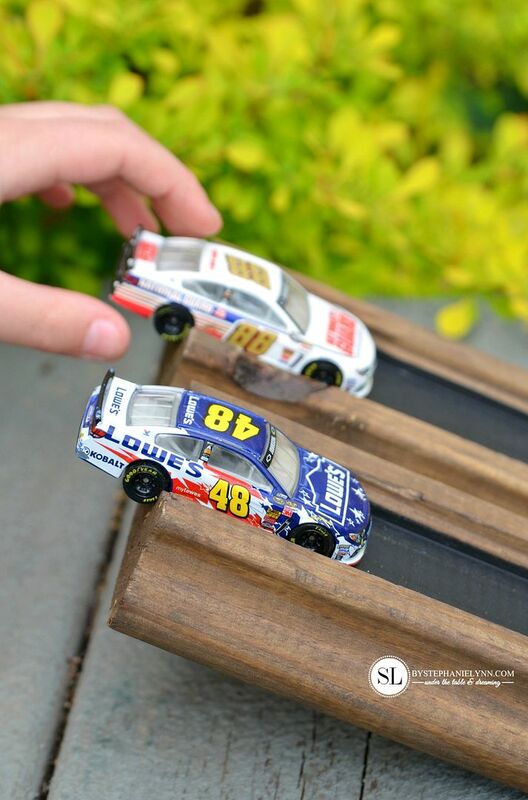 My 3 sons and at least one grandson are huge NASCAR fans, and I know they will be watching! Stephanie, I was the winner of skin care products that you kindly sent quite some time ago, and several things happened to prevent my hand reconstruction surgery at that time, but I found a wonderful new surgeon, using a far better facility, who did my first surgery last October, and my recovery is exceeding all expectations! Those products were saved until that time, and they did help my recovery and the necessary healing of three incisions. You can hardly see the scars now, and I am known for really ugly scarring, so to say I’m very pleased is an understatement! Thank you again for the products you sent; they’ve been an enormous help in taking care of skin that so easily breaks down. I’m very grateful! Ou family has been attending the May race at Dover for years. It is great fun. Lots of kid-oriented fun. Your son will love it! This is so awesome Stephanie. I hope CJ have a fabulous time.